Last year saw a number of alarming climate events, from a jump in "superstorms" to a rapidly greening Arctic. Now, all the strange and significant climate events of last year have been gathered together on one map. 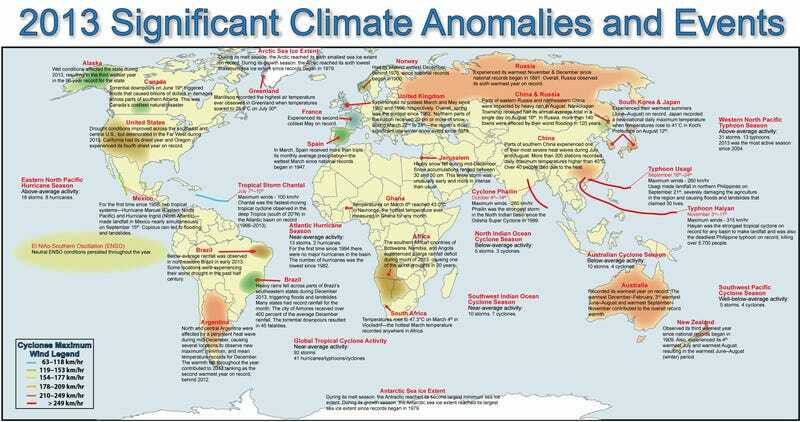 The National Climatic Data Center put together this map of the biggest climate events and anomalies to hit in 2013, the fourth warmest year on record. It includes large-scale droughts, powerful tropical storms, the melting of large swaths of sea ice, and some of the most dangerous cyclone seasons recorded. 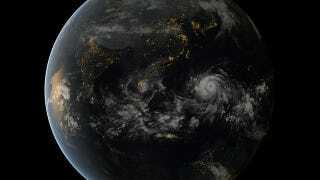 Top image: Typhoon Haiyan / NASA Goddard Photo and Video; Map: The National Climatic Data Center/NOAA.